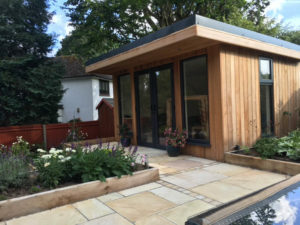 Take a look at our new gallery of Bridge Garden Rooms. 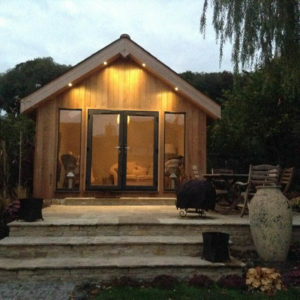 You will find a range of modern garden room designs, some of them with pitched roofs. This pitched roof garden room by Miniature Manor oozes traditional charm. The customer had specific wants from the design including a veranda and a storage area.